Be aware: worrying really mind-f**ks you! When worry arises, worry. Hold it, watch it, but refuse to heed it and soon, you will be ready to discard it. Let us get this straight first – worrying is not a sin! There is nothing wrong with worrying. Except that you know, just as anyone with even an iota of common sense does, that worrying about a problem cannot solve it for you. Yet, don’t expect that you will attain a state of no-worry. As long as there is your mind, worries will arise. After all, what is a worry? It is a thought. And the human mind’s job is to churn out 60,000 thoughts daily. Some of these thoughts will be of worries and anxieties pertaining to an unborn future. Will I have enough money? Can I resolve this complicated legal matter? Will I find better understanding from my family? Will my child get to pursue a career path she wants? Will someone with 4thstage cancer make it? So on, and on, and on…your mind will lead you to worrying – incessantly! Now, those who have not trained their mind, will be led by their worries. Which is, their mind will control them. Worrying debilitates you. It will make you feel like a victim perpetually. But those who have trained their mind – through the practice of some form of meditation or “me time” – will find that their awareness helps them immensely when worry arises in them. They will not fear worrying. Or worry about worrying. They will simply see through their worry – their awareness will let them allow their worry to rise…and then move on. This is the way they will remain untouched by their worry. A worry is like a wave. It has a limited lifespan. Just as a wave rises and then recedes, and eventually disappears, a worry too will rise and ebb. The problem comes only when you allow the worry to touch you. If you just let it rise and fall, you will be untouched. Or the better way to say it is that you will be unmoved even though it may, well, touch you! This is how I deal with my worries when they arise. This approach does not mean I am irresponsible or that I advocate inaction. On the contrary, this is a call to action. Constructive action. 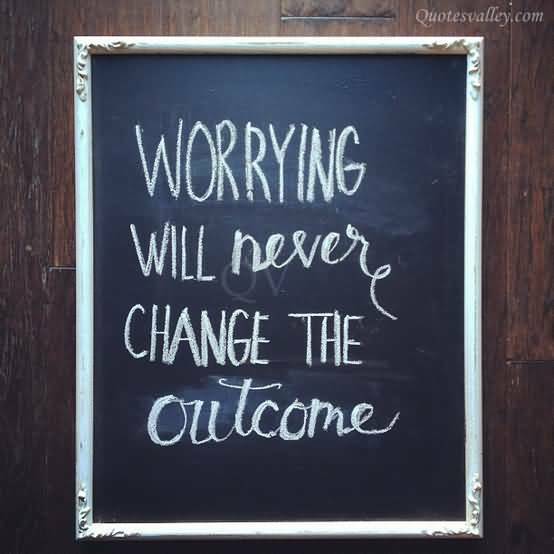 Because, worrying can nail your feet to the ground. And the non-worrying state can never be attained. So, the best way forward is to let each worry rise and fall – while you simply do what you have to do. Principal among what you can do, or the most constructive action you can indulge in, in the face of worry, is to trust Life. Just believe that if you have been created (without your asking to be) you will also be cared for and looked after. The energy that takes care of a million stars will also take care of you. You need not carry the burden of the unknown future on your head. 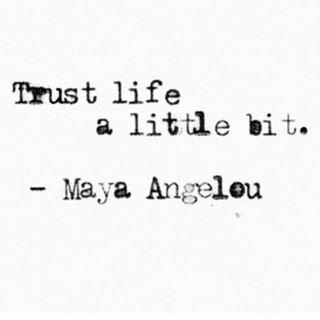 You too can trust! Author AVIS ViswanathanPosted on November 4, 2015 March 14, 2016 Categories Art of Living, Fall Like A Rose Petal, Inner Peace, Intelligent Living, Letting Go, Mouna, Non-worrying, Trust Life, Westland Books, WorryingLeave a comment on Be aware: worrying really mind-f**ks you!